Buying a new home or a piece of investment real estate is exciting, but it can also be nerve wracking. You’re excited by the prospect of getting a new home, but you’re overwhelmed and nervous about securing a mortgage. You think you’ll have to go from one mortgage broker to the next in an effort to get approved or lock down a great rate, but that isn’t the case. POP Mortgage takes the work out of home purchases. 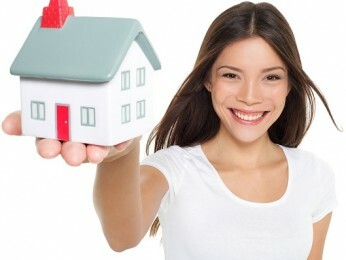 If you want a fast, convenient, and secure mortgage loan, look no further than POP Mortgage. We are a different type of real estate financing company. While most companies offer brokerage or banking services, we offer both under one roof. That means that we not only find the best rate for you, but we can fund your mortgage in-house. That makes our process must quicker. You don’t have to go from one lender to the next, trying to get your money. We are with you every step of the way. On top of that, we make sure those steps go quickly. While some companies make you stand around and wait for your money, we use the best tools and technology into the business. This allows us to shave time off the mortgage lending process. That means you can get in your home in no time at all. If you want the best rates without the wait, POP Mortgage is the right choice. Do I Qualify for a Home Purchase in San Diego? Knowing if you qualify for a mortgage loan is the first step in making a purchase. Our lenders look at a variety of factors when determining if you’re eligible for a mortgage loan. First, they look at your debt-to-income ratio. In most cases, your monthly debt cannot exceed 36 percent of your gross monthly income if you’re going to get a loan. That includes your car loan, student loans, and credit card bills. If your debt-to-income ratio is higher, spend some time paying it down before you apply for a loan. Keep in mind that it’s even better if your monthly debt is 28 percent or less. This will give you access to more loans and better rates. Your credit score also plays a factor in qualifying for a home loan. If you have a credit score of 620 or above, you will meet the requirements for most lenders. If you qualify for an FHA loan, you can get away with an even lower credit score. You can secure an FHA loan if your credit score is less than 580. In addition, some traditional lenders take lower credit scores, but you will likely need a bigger down payment if you have a poor credit score. San Diego residents with credit scores of 720 or higher get the most favorable rates. If you have a high credit score, you won’t have to worry about paying lots of interest on your mortgage loan since lenders will view you as a low-risk borrower. Use our credit resources to pull your credit report or to find out about credit repair. These resources can help you improve your credit score so you can get favorable terms for your mortgage loan. Then, you can move forward with your loan. Lenders also look at employment history when deciding if you should qualify for a loan. If you move from job to job, they will have a hard time understanding how you will prepay the loan. However, if you have been at the same job for a minimum of two years, the lenders will see you as a lower risk borrower. Nothing can get a homebuyer’s pulse up quite like the phrase “down payment.” You have worked so hard to get to this place. Now, are you going to have to cough up a huge down payment? First, you need to understand why lenders want down payments. Down payments lower the loan-to-value ratio. In addition, they give the lender money to keep in case you default on the loan. Twenty percent is the typical down payment, but it isn’t etched in stone. You can avoid paying such a high down payment by changing the type of loan you get or by getting private mortgage insurance. Private mortgage insurance protects the lender and allows you to put down a much lower down payment. In some cases, you can put down a mere 3 percent of the purchase price. Once you have less than 80 percent remaining on the loan, you can drop PMI. Then, your monthly payments will go down. You can also avoid a high down payment by getting an FHA loan. You can secure one of these loans with a 3.5 percent down payment. If you can’t afford a down payment, see if you qualify for a USDA or VA loan. These loans are perfect for people who want to finance 100 percent of the home’s value. Now you’re ready to take the next step and get a mortgage loan. First, though, you have to decide which loan is right for you. POP Mortgage’s team of brokers and bankers handle various types of loans. Use our services to get a fixed-rate loan, or go with an adjustable rate mortgage so you can take advantage of a low initial interest rate. We also offer USDA, FHA, and VA loans, along with jumbo loans and reverse mortgages. With so many options, it will be easy for you to find the right loan for your needs. Take our home purchase qualifier to see if you qualify for one of our loans. The, we will work to get you the best rates available. With us by your side, it won’t be long before you get the perfect mortgage loan. Then, you can enjoy your home or investment property.